U.S. President Donald Trump announced on Friday he will extend the waiver on Iran nuclear sanctions, thus keeping the nuclear deal signed in 2015 alive. Senior officials in the administration, however, said that this will be the “last time” Trump waives the sanctions, unless the United States and its European allies can find a way to remove the loopholes in the nuclear deal within the next four months. “He intends to work with our European partners on some kind of follow-on agreement that enshrines certain triggers that the Iranian regime cannot exceed related to ballistic missiles, related to nuclear breakout period… to inspection and that would have no sunset clause,” said the officials, according to The Hill. “If the president can get that agreement that meets his objectives and that never expires, that as he said in his October Iran strategy speech that denies Iran all paths to a nuclear weapon, but forever, not for 10 years or any other shorter period of time, he would be open to remaining in such a modified deal,” they added. Trump had faced a Friday deadline to decide whether to reimpose economic sanctions on Iran that were suspended as part of the 2015 nuclear agreement, after refusing to certifyIran was in compliance with the deal in October. The president has repeatedly criticized the Iran deal, one of his predecessor’s Barack Obama’s signature foreign policy achievements, as the worst ever negotiated by the U.S.
On Thursday, U.S. Treasury Secretary Steve Mnuchin said he expected Trump to impose new sanctions on Iran. 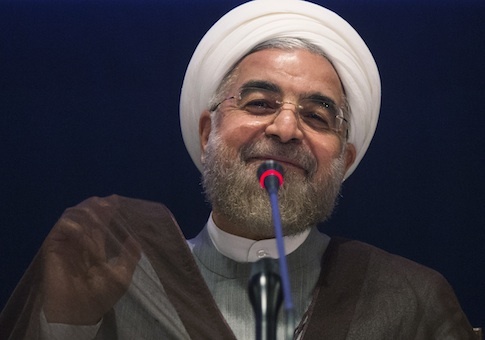 “I am expecting new sanctions on Iran. We continue to look at them. We’ve rolled them out and I think you can expect there will be more sanctions coming,” Mnuchin told reporters. Iranian officials have repeatedly criticized Trump over his decision not to certify the deal. Iranian Supreme Leader Ayatollah Ali Khamenei has said Tehran will stick to the agreement as long as the other signatories do, but will “shred” the deal if Washington pulls out. On Monday, Iran threatened to reconsider its cooperation with the International Atomic Energy Agency (IAEA), the UN nuclear watchdog, if the United States failed to respect its commitments in the nuclear deal.